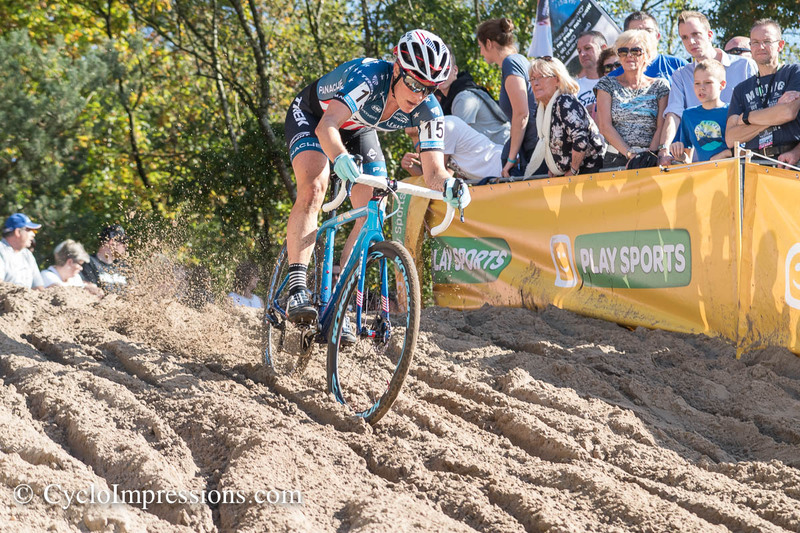 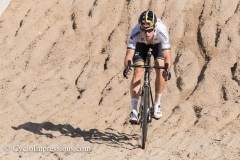 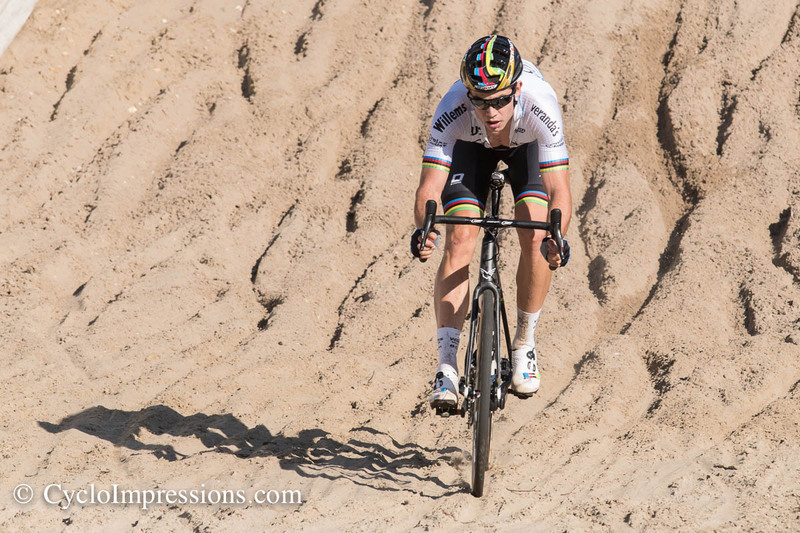 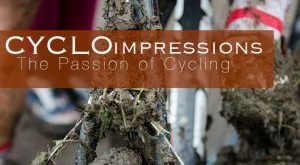 Not so long ago, Zonhoven and her “De Kuil” became part of the super prestige, but soon the route around the famous sandpit gained a cult character. 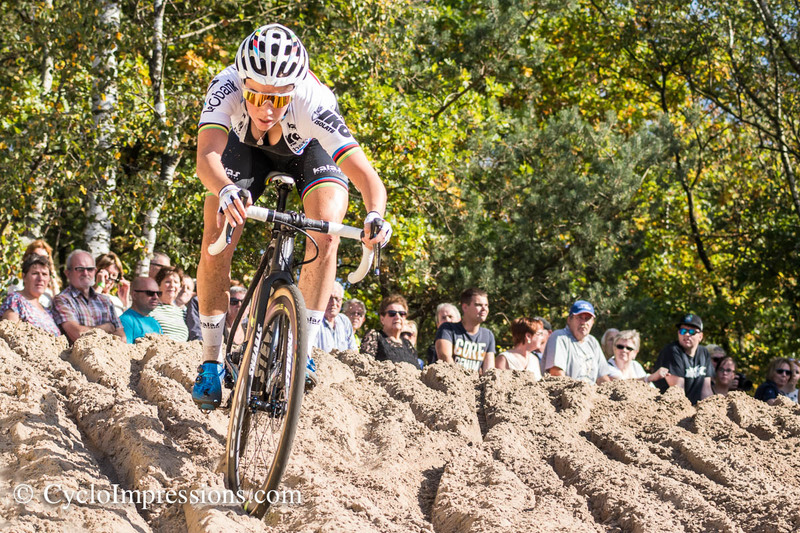 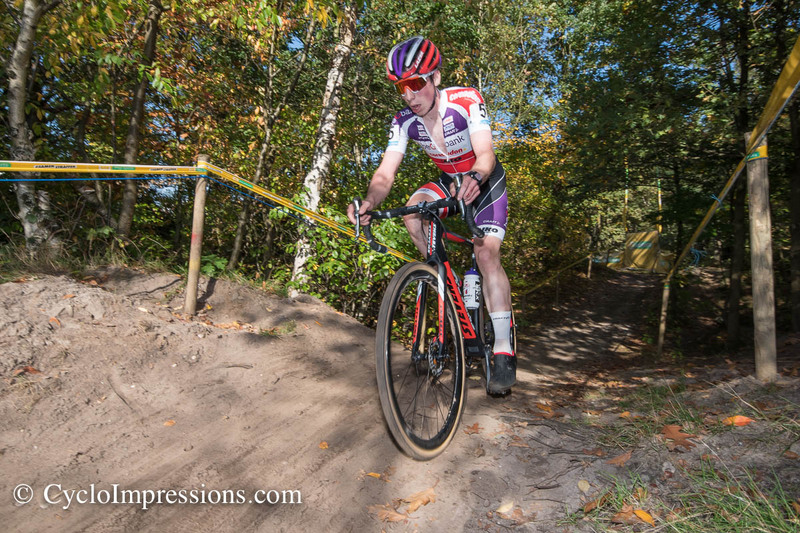 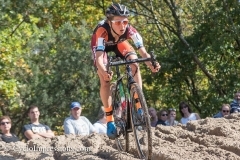 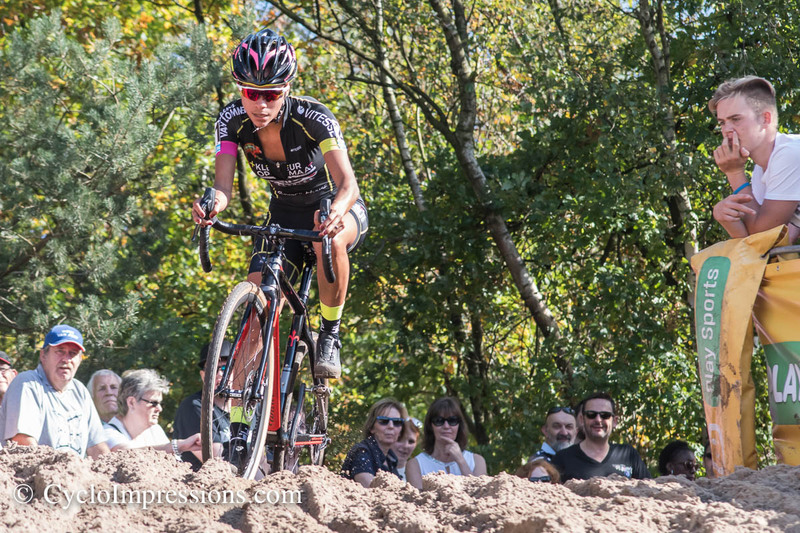 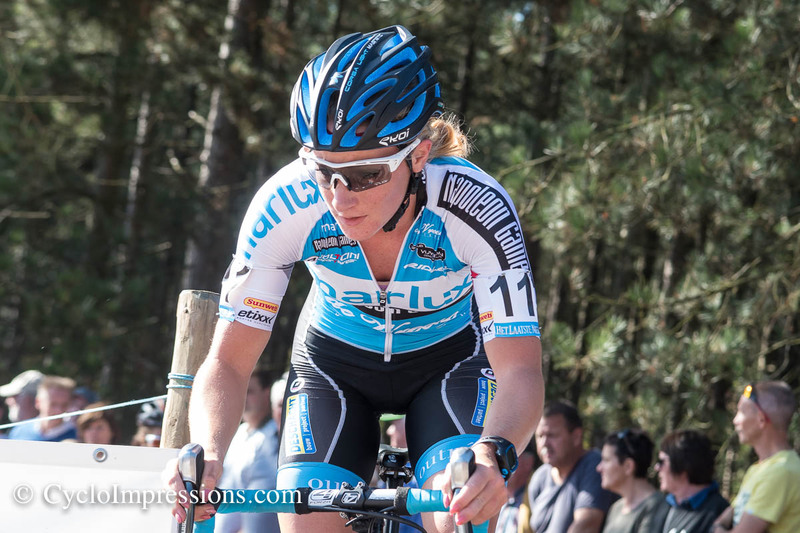 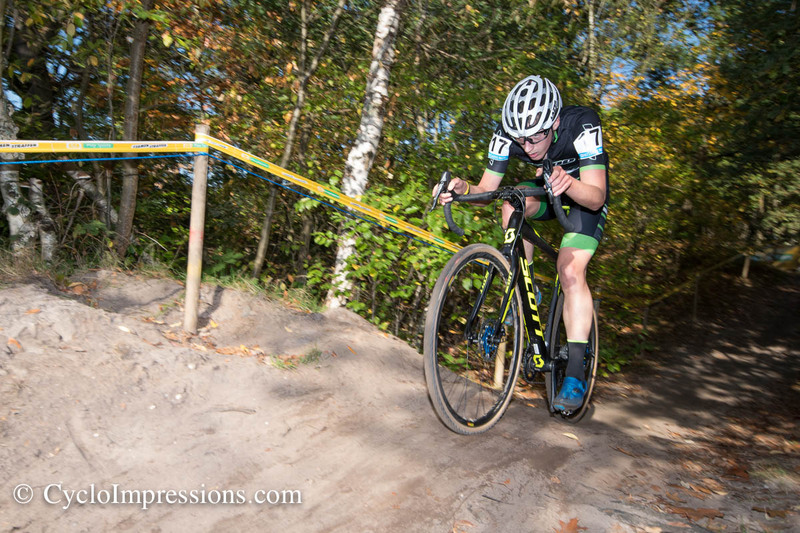 The warm and sunny weather of this beautiful autumn day caused rather a beach-feeling than cyclocross. 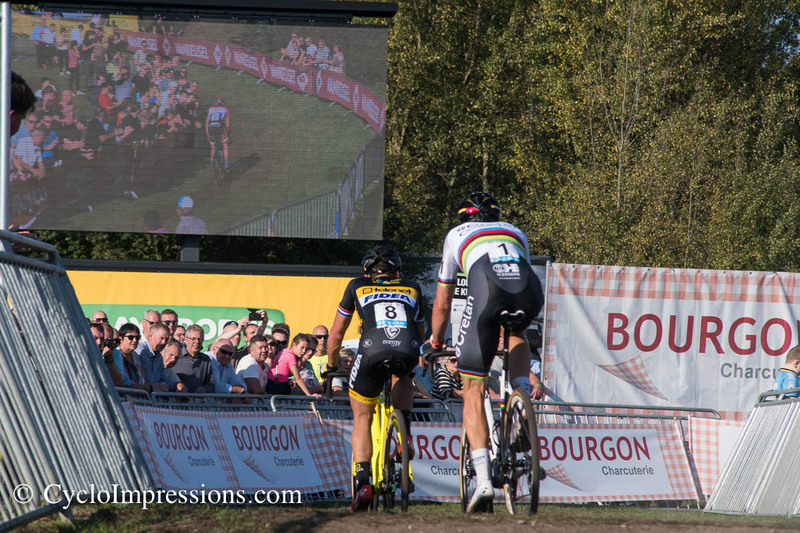 But definatlly the numerous spectators were able to enjoy a true Cyclocross party. 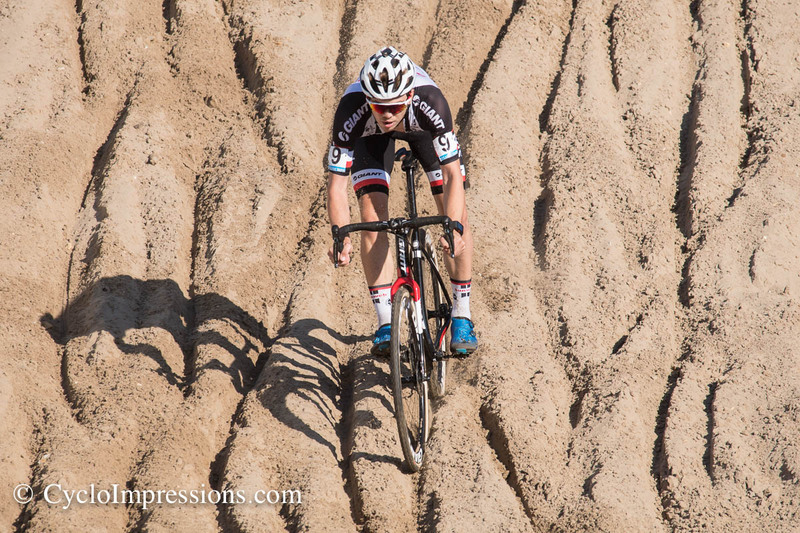 De Kuil always reminds a bit of an old Roman amphitheatre. 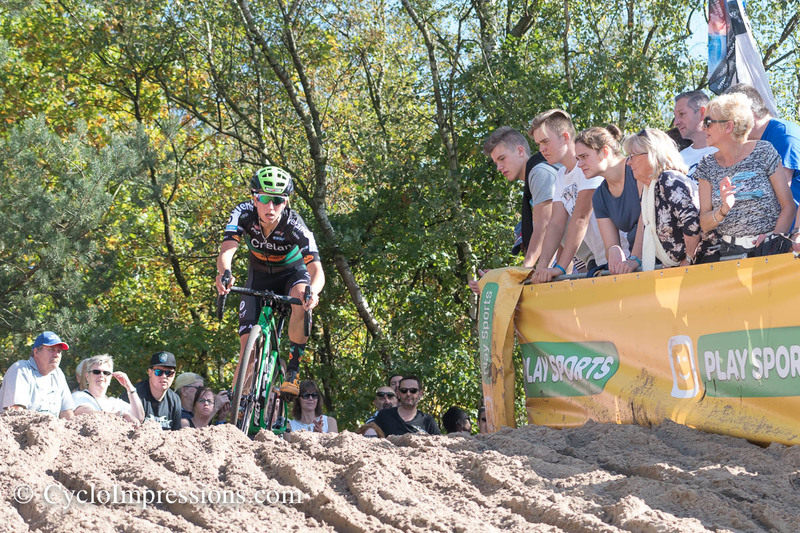 Thousands of enthusiastic spectators gather on the slopes of this sandpit and cheer on the racers when they descend down the sandy descends. 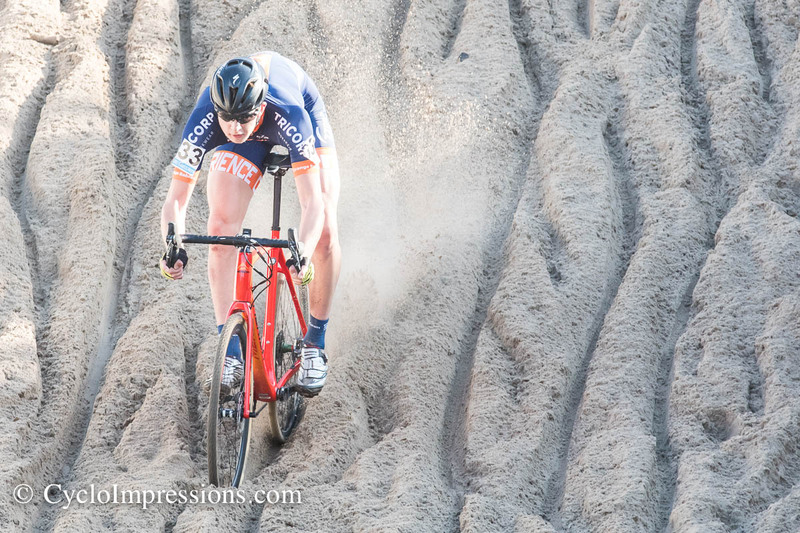 Most of the time everything works out fine for them, but every now and then the god of sand takes its toll and spectacular actions take place. 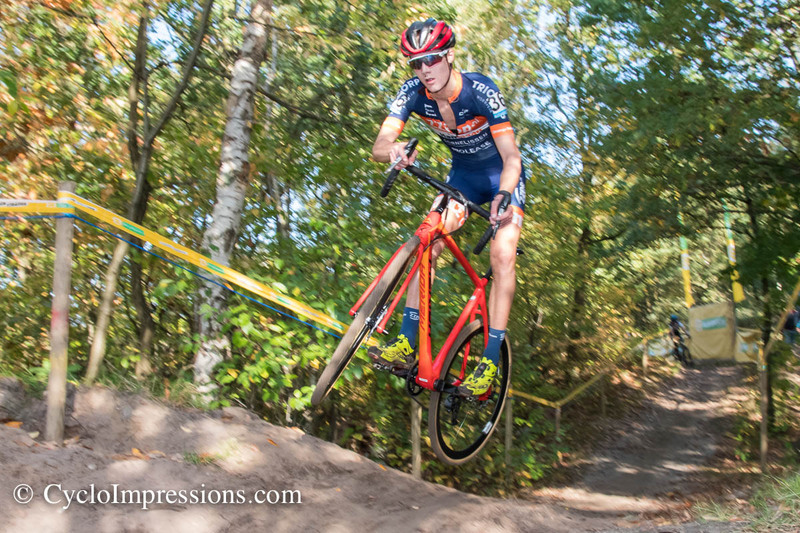 Just as Mathieu van der Poel avoided a fall this time only by means of a fascinating acrobatic performance. 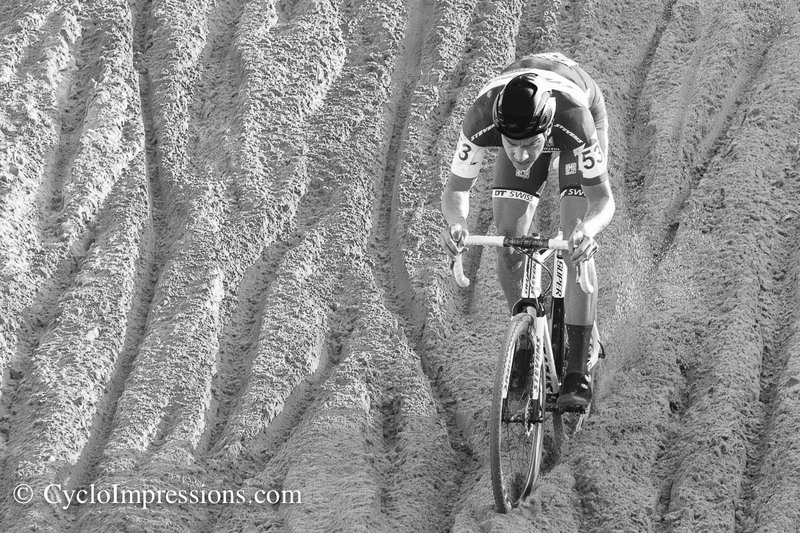 This year it was probably the Dutch day who won four of the five races. 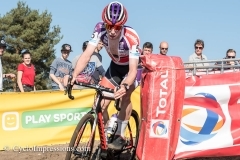 In the elite category , it was again the serial winner of this season, Mathieu van der Poel, who started a solo ride after two laps and could achieve his eighth win of the season in the ninth race. 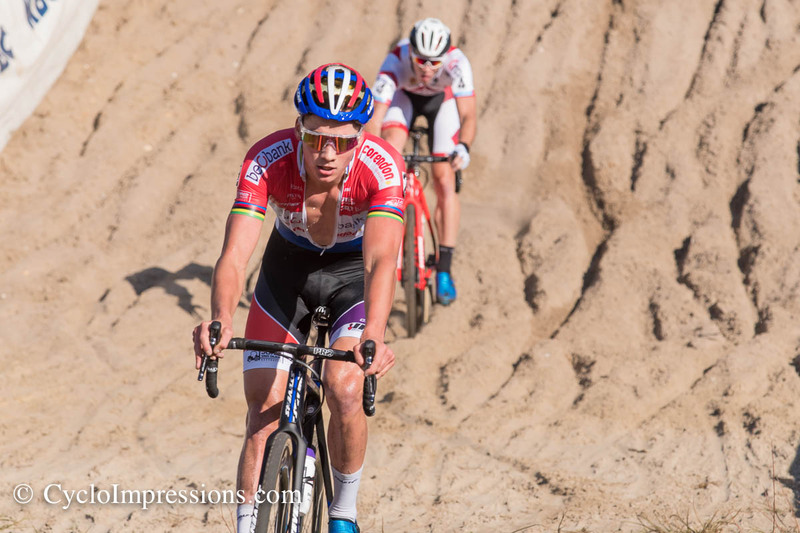 Behind van der Poel, who was quite lonely in his race, there was a duel between World Champion Wout van Aert, who is slowly gaining momentum and Lars van der Haar. 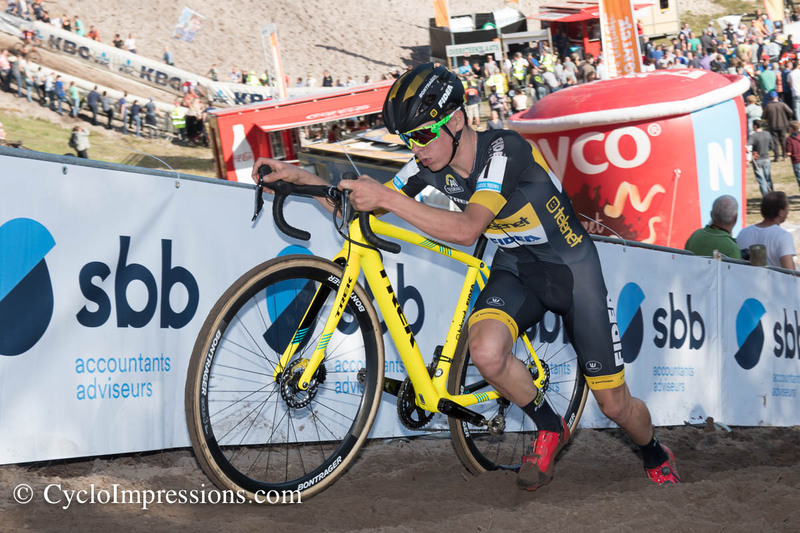 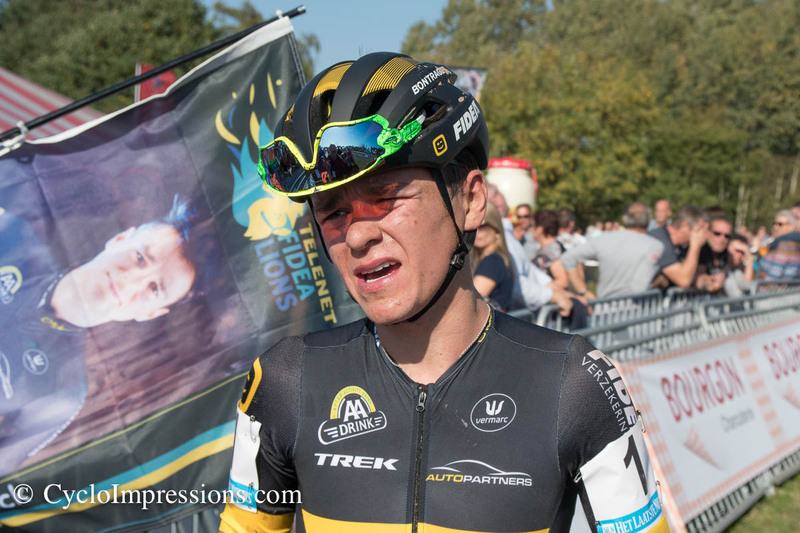 Only towards the end of the last lap did van Aert manage to break away from the Telenet Fidea Lion and took second place. 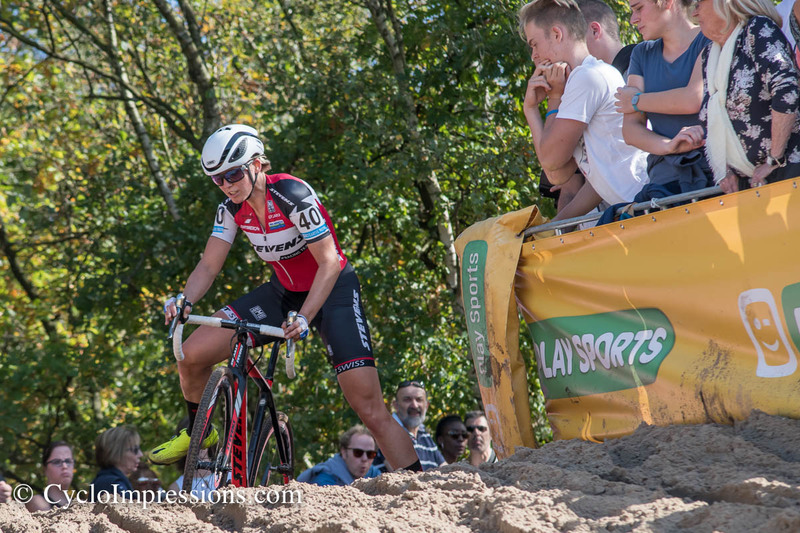 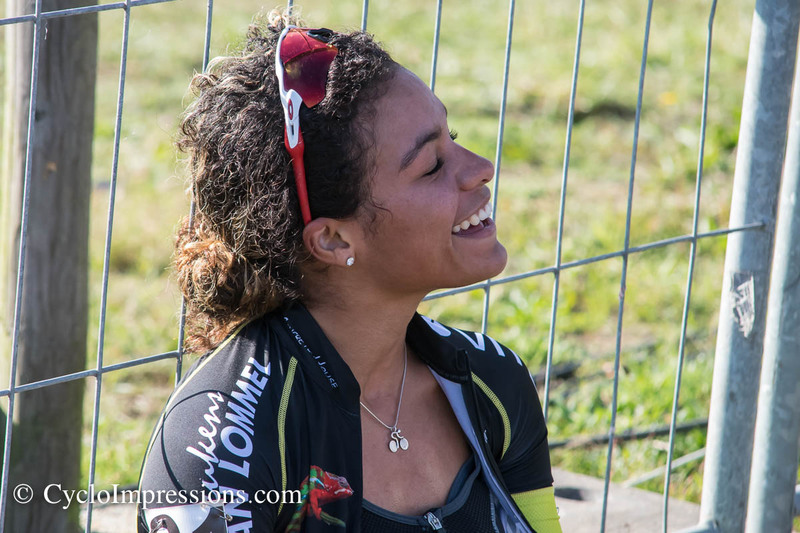 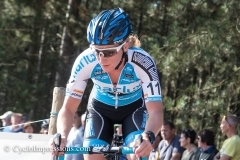 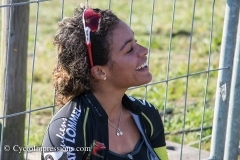 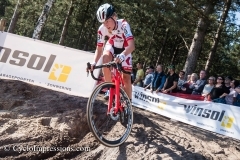 Maud Kaptheijns said goodbye to her opponents in the women’s race at the beginning of the first lap and nailed a safe and nailed an impressive start to finish victory. 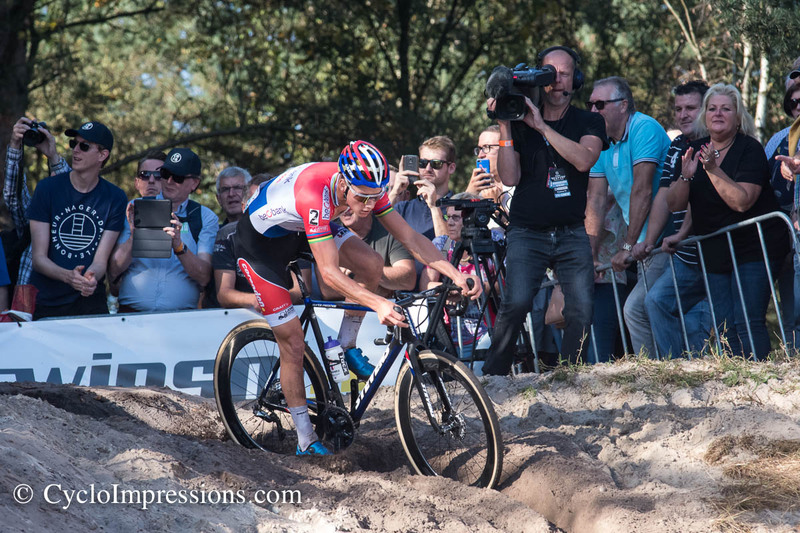 Behind the Dutch rider, an interesting race for the remaining podium spots took place. 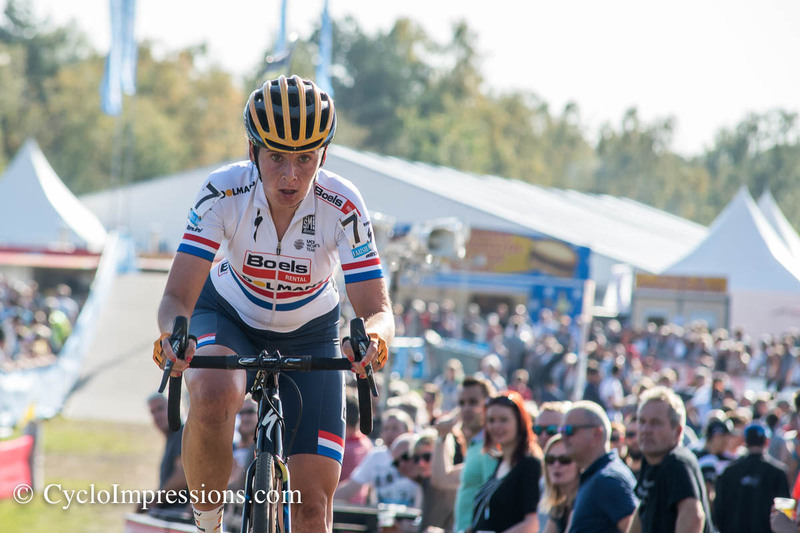 At first it was US champion Katie Compton, who took the lead in pursuit of the leader, but then had to pay tribute to the heavy and unusual course. 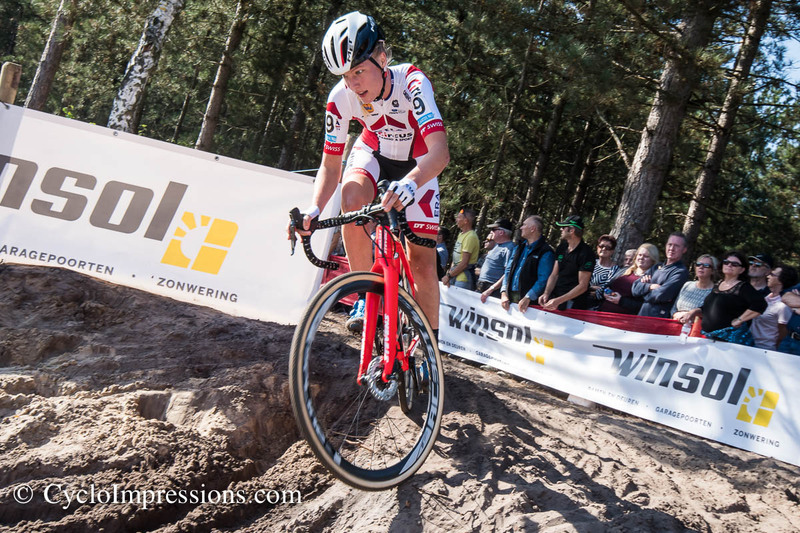 For a long time it seemed as if the british champion Nikki Brammeier could secure the second place for herself. 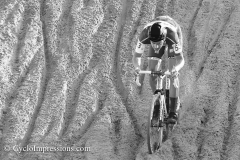 But you should not count your chickens before they are hatched. 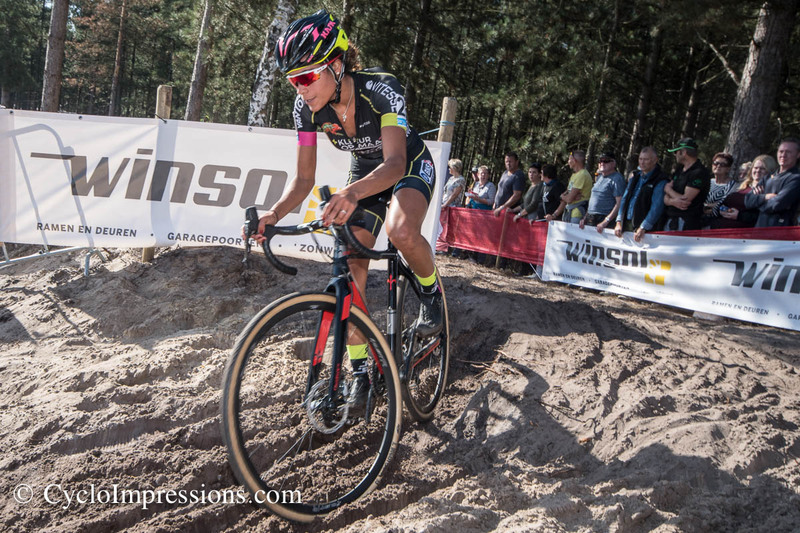 World champion Sanne Cant who crashed in the first lap, caught up round after round and worked her way forward from eighth place. 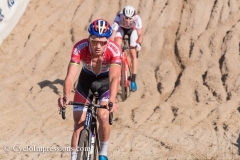 In the last lap, Cant not only caught up with the British, but also launched the decisive attack on Brammeier in the last sandy passage, who had to settle for third place in the end. 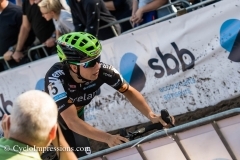 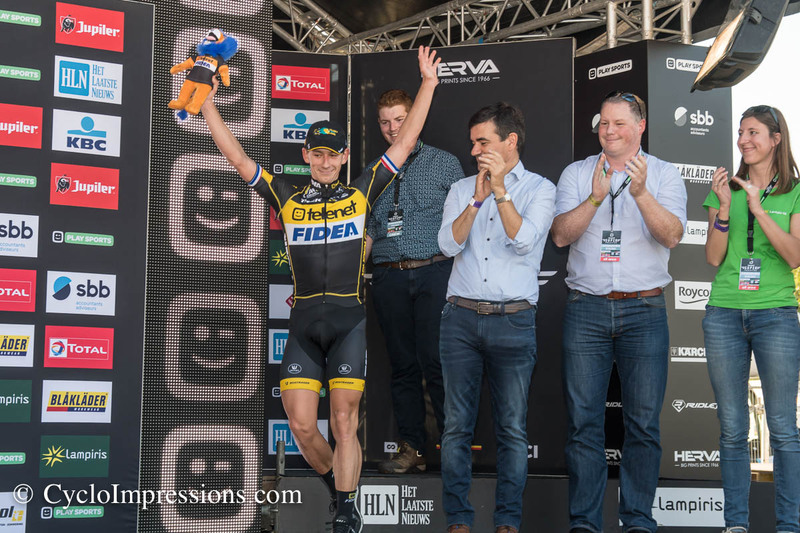 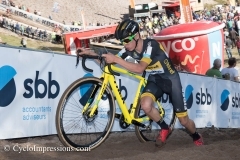 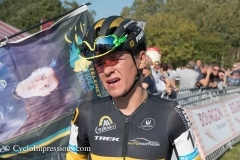 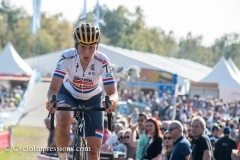 Jens Dekker, who had regained his former strength after a difficult season last year, dominated the race in the U23 and in the second round the former junior world champion took over the ruling and did not give the book of action to the finish line. 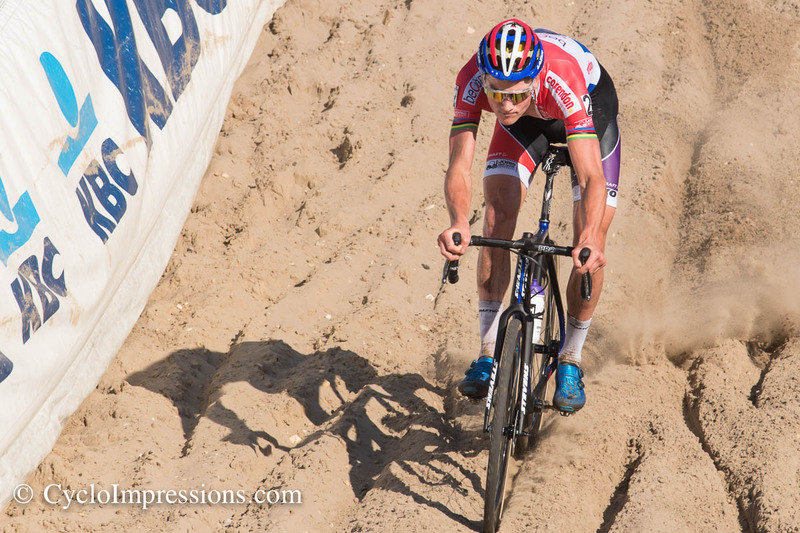 Behind Dekker, Toon Vandebosch was able to secure second place after an exciting competition with Thomas Joseph. 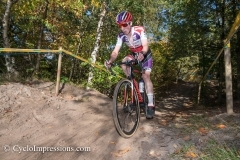 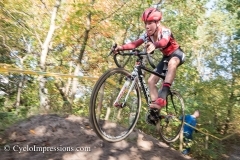 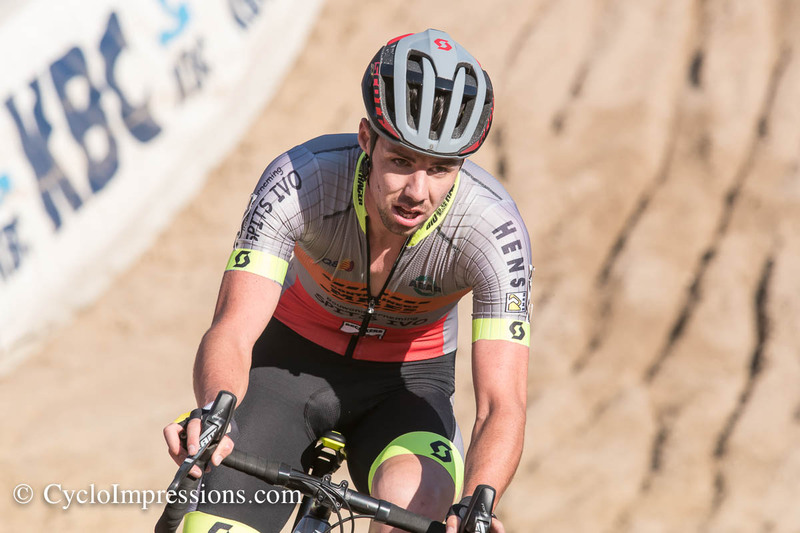 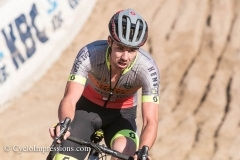 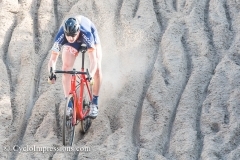 Tom Pidcock, who competed in his second cross-country race of the season in Zonhoven, was able to advance to fourth place even though he started far behind the grid, although he was already slowed down at the start by competitors falling in front of him. 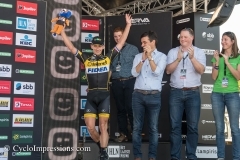 In the juniors too, the winner was a Dutchman, Pim Ronhaar, who was at the start for the Lares-Doltcini team, secured the victory ahead of Thomas Kopecke and Jarne Bellens. 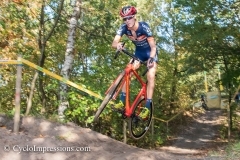 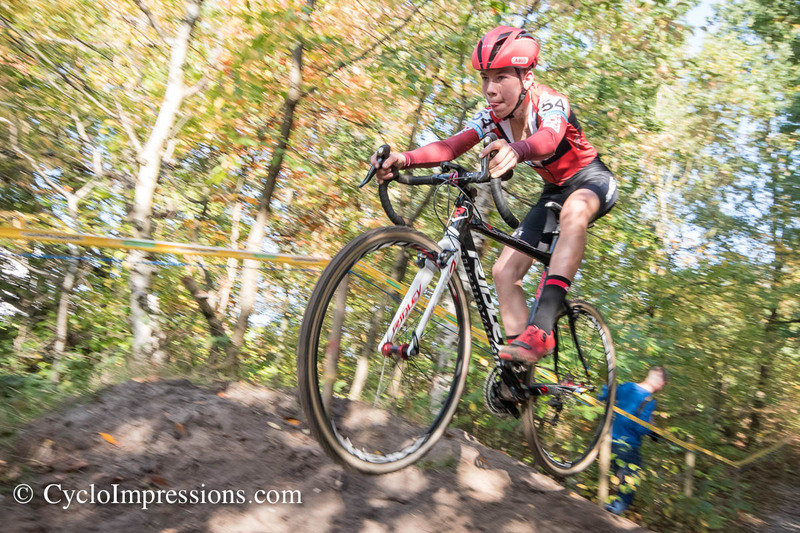 The only belgian winner was Dante Coremans in the U17 category. 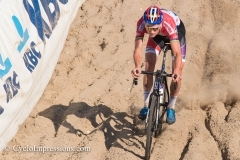 Dante Coremans won against Thibaut Nys and Steijn Willemsen.